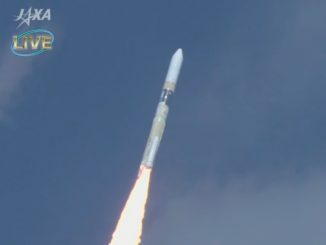 A Japanese H-2A rocket deployed a satellite in orbit Monday to measure greenhouse gases in Earth’s atmosphere and help scientists better quantify the role of human activity in climate change. 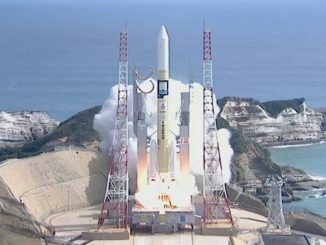 Flying on its 40th mission, a Japanese H-2A rocket lifted off at 0408 GMT (12:08 a.m. EDT) Monday from the Tanegashima Space Center carrying Japan’s GOSAT 2 satellite to measure greenhouse gases in Earth’s atmosphere and the KhalifaSat Earth observation satellite for the United Arab Emirates. 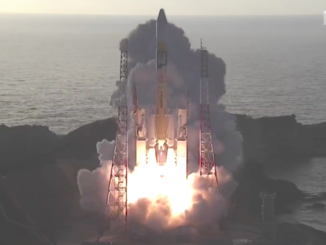 An all-weather spy satellite for the Japanese government launched Tuesday on top of an H-2A rocket, extending the country’s surveillance reach with coverage of North Korea and other strategic locations worldwide. 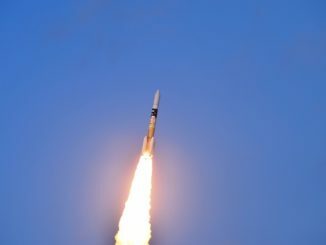 Projected weather impacts from Tropical Storm Maliksi passing over the Pacific Ocean south of Japan have prompted officials to push back the launch of an H-2A rocket and an Earth-imaging reconnaissance by one day to Tuesday, the Japan Aerospace Exploration Agency announced Saturday. 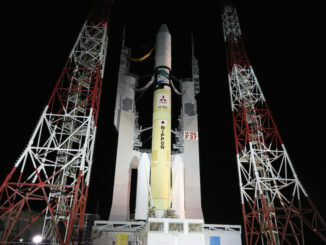 A Japanese H-2A rocket launched Tuesday with a clandestine government-owned satellite to collect sharp-eyed views of North Korea’s missile developments and other global hotspots. Two research satellites to probe Earth’s climate patterns and test ion engine technology to counter atmospheric drag in an unusual low-altitude orbit launched Saturday on top of a Japanese H-2A rocket. 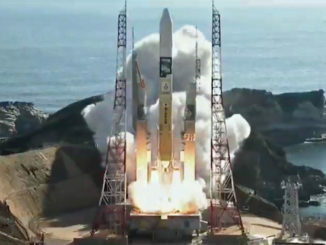 Japan’s regional satellite navigation network, conceived to improve GPS coverage over Japanese territory, received its fourth member Monday with an on-target H-2A rocket launch. 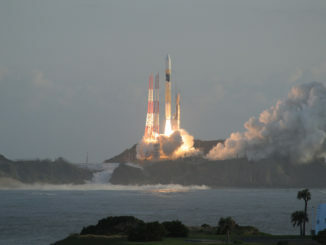 A Japanese H-2A rocket launched the fourth satellite for the country’s regional navigation network Monday. 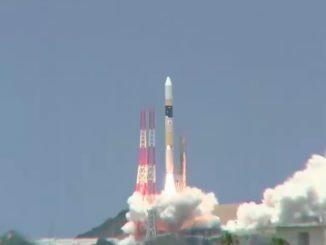 Liftoff from the Tanegashima Space Center in southwestern Japan occurred at 2201:37 GMT (6:01:37 p.m. EDT). 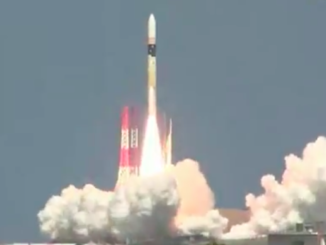 Inmarsat has selected Mitsubishi Heavy Industries to launch the first of two planned sixth-generation communications satellites on an H-2A rocket in 2020, giving the Japanese launcher its second commercial win in the global market to loft large geostationary telecom craft.